We installed 150m² of surfacing in two areas of Kenwick Park Golf Club. 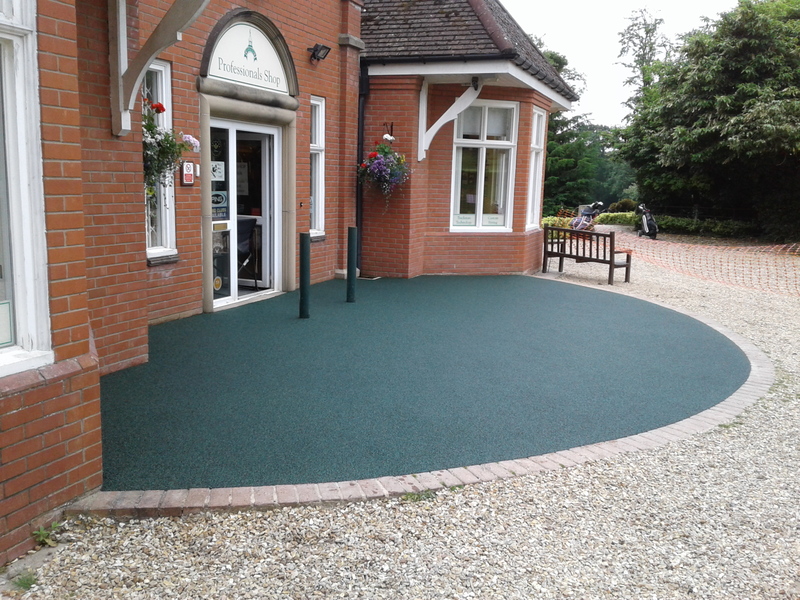 The surfacing was a blend of black an green and was installed in two areas – one area was a pathway leading to the club house, whilst the other was an area outside the Pro-Shop, as shown in the photo. The club is located in Lincolnshire, and whilst our head office is based in Burnley, we regularly work across the UK and offer free site visits nation wide. The club installed over 1300sq metres of RTC Sport pathway surfacing in 2010. The black/green fleck mix was used extensively to surface pathways, steps, trolly park areas and tees. ‘This has been an extremely successful project. All of our members are very pleased with the pathway surfacing, it has really enhanced our club. We would certainly use RTC Sport for any future surfacing work’ Mick Reece, Course Manager, Kingsnorton Golf Club. the clubhouse and the 1st tee of the Queens Course. Since the system proved to be so successful, we were contracted again in 2009 to install a further 400sq metres of custom blended pathways. Our most recently work was completed in 2011 to the entrance of the Dormy clubhouse. RTC Sport Surfaces installed a large amount of terracotta surfacing at Turnberry Golf Club in 1999. The colour was chosen to blend with the roof tiles on the Colin Montgomerie Golf Academy. The photographs (taken 8 years later in 2007) show the surfacing still performing today. 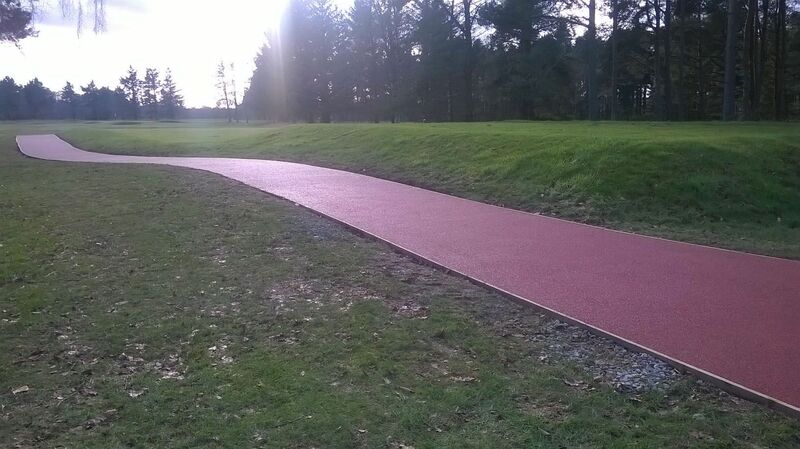 Our signature pathway colour of terracotta red can now be seen at Royal Birkdale Golf Club around the 1st tee. The newly installed surfacing looks extremely impressive and adds to the clubs already imposing vista. the home of The Honourable Company of Edinburgh Golfers has recently installed a grass blend area of RTC Sport Surfacing around the driving range tee. Alastair Brown, Secretary says that he is very satisfied with the surface. RTC worked on this project in conjunction with Sol Golf who acted as main contractor. If you would like to see how we could help you, please contact us today! The company's growth over the last 15 years means that we can offer extremely competitive pricing without compromising on quality. We are confident that we can beat any like-for-like quotation and you can be confident that we won't be beaten on quality.